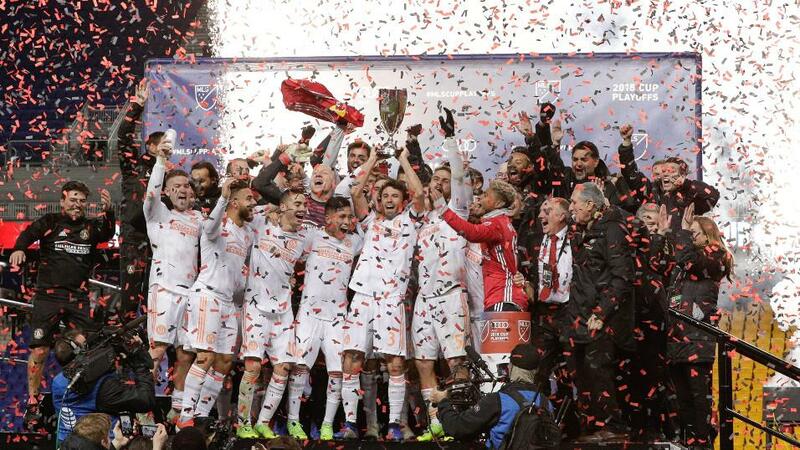 In a logical world, we'll be congratulating Atlanta United on a remarkable second season MLS Cup win on Saturday night, but Portland's run to the big match has been so illogical that we have to pause for thought before regarding Tata Martino's team as the Champions. The two sides played once in the regular season, and drew 1-1 here at the Mercedes Benz Stadium, which hints at the potential for an upset, and Portland's feat in putting out FC Dallas, Seattle and then SKC has been one of the most astonishing in postseason history. I've been wrong to oppose them in those last two matchups, but I think that they have finally run their race. Atlanta United managed to put away the best team in the regular season, the New York Red Bulls, in their Conference Championship match, and they are in such good form that it's hard to see beyond them winning the Cup. The Timbers will need a special performance from Diego Valeri, an almost flawless team display and a fair slice of luck. I know that the prevailing opinion amongst regular MLS watchers is that Saturday night could get very messy for Giovanni Savarese and his team. They must be tired, they'll be playing in front of a passionate and noisy home support, and they have to work out a way to stop Josef Martinez and Miguel Almiron. The question is how to turn all of the above into a bet. The way I see it is that there are two different angles from which we can approach this, and that might even lead us to two separate bets. The obvious choice is to acknowledge Atlanta's superiority and ability to blow teams away and back them conceding a goal on the Asian Handicap. That's currently trading at around [1.5], though, and I can't see the value in doing that. The statistics tell us that Atlanta are unbeaten in their last 12 home games, and have outscored their opponents by 29 goals to 10 in that span. And they've won each of their last six games by an average of 1.8 goals, which would fit in perfectly with our Handicap bet, but it's unattractive at that price, so must be left alone. The other angle is to respect Portland's ability to score goals (eight from open play in this post season) as well Atlanta's knack of finding the net, and look at the Over 3.5 Goals market. Atlanta's last four games have all gone Over 2.5 Goals, and while the big occasion can often inhibit teams, Martino's side look to have left something in the tank, and they will want to say goodbye to their coach with a stellar display. I think that if we back Over 3.5 Goals then we're in a good position, playing into the main potential narrative on Saturday night. I hope for the sake of the League that we have a glorious night, either one which features a nail-biting game, or one which provides us with a performance to savour. The latter is more likely, but either will do for me.